Built by Princess in 2005 this is a 25 meter luxury motor yacht for sale in Greece. She has a fiberglass (GRP) hull and superstructure with a beam of 6,10 meters and a 1,60 meter draft. She can accommodate up to 10 guests in her 4 en-suite cabins and 4 crew members. The Princess 25 has a cruising speed of 25 knots, a max speed of 29 knots and a range of 390 nm from her 8400 lt. fuel tanks. Meticulously maintained this Princess 25 will fulfill even the most demanding guests' dreams. Powered by two 2000hp MTU engines with 1490 hours. This is an amazing yacht suitable for families since it combines speed and comfort. Explore the Greek Islands on board this yacht and live unforgettable moments. 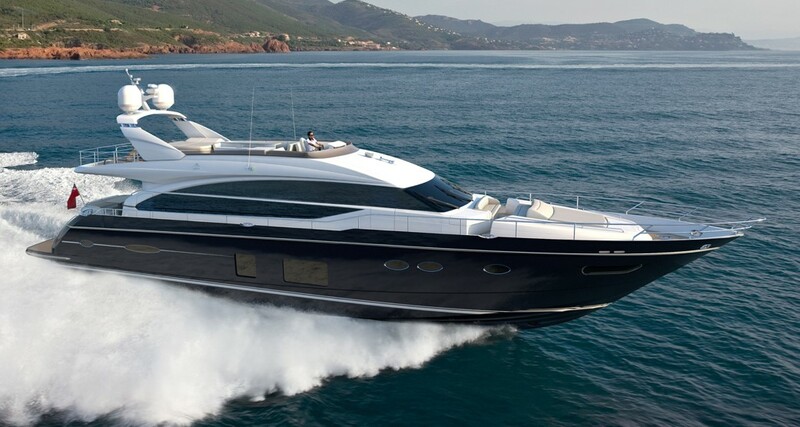 This luxury yacht will satisfy even the most demanding tastes since it is very well maintained. The luxurious tender will transfer your guests safely on the coastline. SYS Yacht Sales is pleased to assist you in the purchase of this vessel. This boat is centrally listed by Riginos Yachts SA.